The Tri-County Hazardous Waste & Recycling Program opened its doors in July 2006. The Program provides hazardous waste disposal and recycling education & outreach to households, businesses and farmers of our Tri-County area. WebRock was hired to produce a website that would be a resource to the local community. 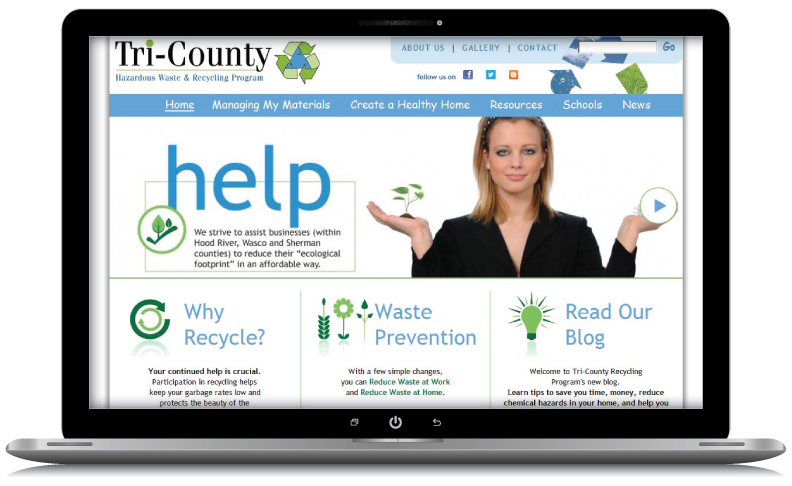 It provides information about hazardous waste and recycling to homeowners, businesses and schools. WebRock developed a fresh, modern website in a clean, easy-to-use format, allowing the user to find the information they want quickly.